End of Week One ! A Great Beginning! Introduction to Literary and Dramatic Forms has been launched with a glimpse – in Dead Poet’s Society- into the way a contact with literature can be a subversive agent of social change, for keeping us in touch with the things that really matter to our lives, to emotion, to relationship, to the creative force that tries to express itself through each of us. 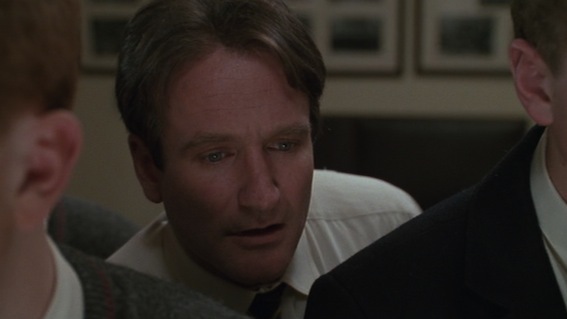 Robyn Williams champions that cause in reminding his year 12 students that they need to wake up to the fact that life is short, that life is miraculous, that a true appreciation of literature can help us seize the day: “Carpe Diem”. In Kate Chopin’s “Story of an Hour” we experienced how Mrs Mallard’s short-lived ecstasy -“free, free, free”- hinged on her ability to listen to what was taking place inside her soul, and through that to begin to see the miracles of everyday life around her – in the birds, the sky, the trees, the sounds in the street- free from inner and outer constraints. The conclusion of this story is a shock, something of a wake-up call inviting us to think about the way we live out our own life. How “free” is it? How open to impressions from all around are we? Are we in touch with our deepest needs? Julian Temple’s film Pandaemonium(2000) thrust us straight into this world of political Romanticism, showing us that Wordsworth, Coleridge and his friends were all also young once, filled with enthusiasm and optimism for real change in the world. This is a core theme in Shakespeare’s work: the real value of those who are not at the top of the social hierarchy and who are not concerned with such things. Sometimes these characters are the fools in the play, sometimes they are the social outcast. They are perhaps the “real” people who give others much to think about. In A Midsummer Night’s Dream it is Bottom, in Henry IV Falstaff, in Troilus and Cressida Thersites and in The Tempest Caliban. 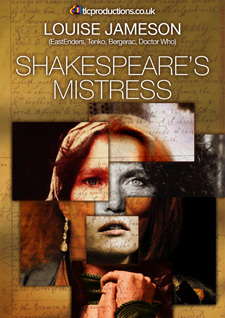 Through these characters Shakespeare finds ways of deeply questioning the values of the status quo and forcing his audiences to question as well. What a fabulous start to the first semester. See you all next week! A copy of Pandaemonium arrived in the mail today! At $7.90 from Ebay including postage I think it was a bargain!